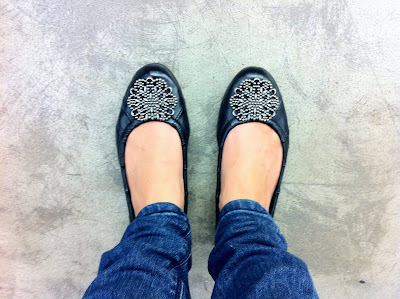 I've been looking for a pair of ballet flats ever since my Aldo pair finally died on me (they were my favorite flats and I wore them ALL the time). 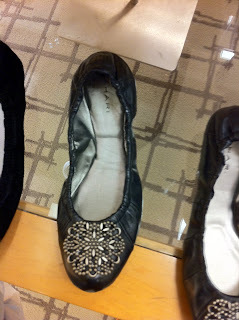 I found these Tahari flats at Macy's for $89. I'm still wearing them in, (especially the elastic banding behind heel) but overall they are pretty comfy. I also finally got to use a $25 gift card from Macy's I had received as a birthday gift last year, so they really came out to be $64, not bad huh? Love these! Def a good find. I am really not a fan of these types of shoes in general.